Here’s one of the many stories Platt tells in the book that remind us of our God and his glory. “I nodded. I was making a mental note: Don’t mess with Raden. He continued, ‘One day, I was sharing the gospel in an unreached village … and the witch doctor from the village came to the house (and) called me out. He wanted me to fight him.’ Raden smiled as he confessed, ‘My first thought was to walk out there and take the witch doctor down. But when I turned to go outside, the Lord told me that I no longer need to do the fighting. God would do the fighting for me.’ So Raden walked outside, pulled up a chair, and sat down in front of the witch doctor. He told his challenger, ‘I don’t do the fighting. My God does the fighting for me.’ Raden recounted what happened next. ‘As the witch doctor attempted to speak, he began to gasp for air. He was choking and couldn’t breathe. People came running to see what was wrong, and within a few minutes the witch doctor had fallen over dead.’ By now the entire village had crowded around the scene. 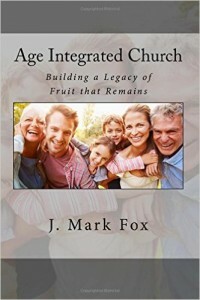 Platt continues, “Now, I’m not recommending this as a new church-growth methodology. Making pronouncements on people that lead to their deaths just doesn’t seem to be the best way to go about things. But this story was a clear reminder to me that two thousand years ago when believers proclaimed the name of Jesus, it caused the blind to see, the lame to walk and the dead to rise. The name of Jesus had the power to cause evil spirits to flee and to bring the most hardened hearts to God. And the reality is, two thousand years later the power of Jesus’ name is still great. The question for us, then, is whether we trust in his power. And the problem for us is that in our culture we are tempted at every turn to trust in our own power instead. So the challenge for us is to live in such a way that we are radically dependent on and desperate for the power that only God can provide.” Here is what I recommend to you, dear reader. Get a copy of Platt’s book and read it for yourself. You won’t agree with everything he says and you may not like the way he says it. But you will be challenged. You may end up looking at your life much differently… maybe from a different location, like Bocachica, Colombia, or Indonesia. And that won’t be a bad thing. It is time to get radical.